Don’t let this colorful cutie fool you. 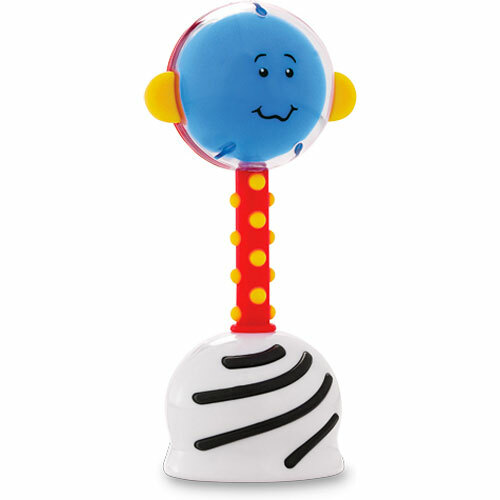 The NogginStik has a big agenda, helping babies reach milestones by engaging their sense of touch, sight and hearing. Lights up in red, blue and green to baby’s delight. Helps develop coordination and muscle strength. Included is a Parent Guide to Baby’s Milestones. 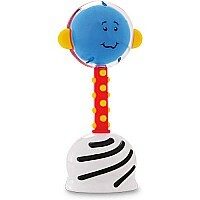 From SmartNoggin Toys, for ages birth-12 mos.